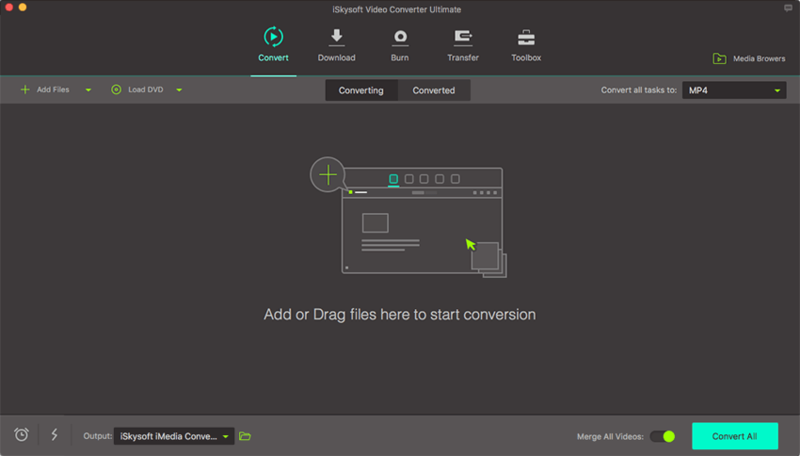 Video converter from iSkysoft has been widely recognized as one of the best video converting software on the market. 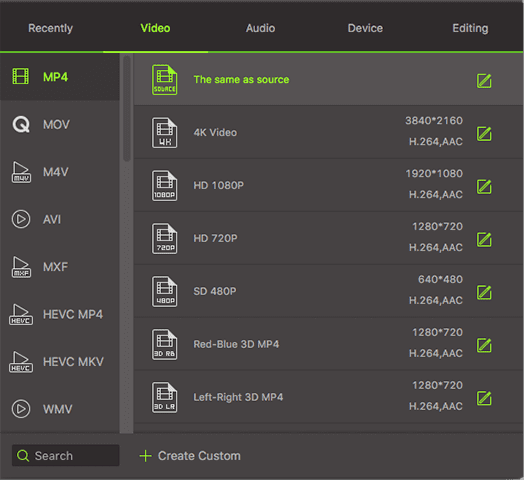 With it, you can convert any video to more than 150 formats, like M4V, MOV, AVI, FLV, MP4, ASF, etc. Double click the program icon to start iSkysoft Video Converter Ultimate for Mac. There are 5 tabs on top: Convert, Download, Burn, Transfer and Toolbox. Drag video files to the program window. If a folder is added, all the files contained in the folder will be added to the program. This Mac Video Converter supports batch conversion. It allows you to import several media files at one time so that you can convert several videos in one go and enjoy fast conversion speed. To select multiple files, drag your mouse to select files or select files while holding Shift or Command key on keyword. Browse or search videos or DVDs in Media Browser which will show up by clicking the button at the top right corner, and drag it to the program. Also, you could import videos by "Add Files" button or from your mobile devices or camcorder by clicking the drop-down icon. Then a list of imported files will appear in the primary window. More than 150 output formats are supported. To choose an output format, simply click the format icon from the list of video, audio and device. Find your desired output format from the categories according to your requirement. If you just want to extract audio from video on your Mac, choose audio format (like MP3, WAV, AAC, etc.). 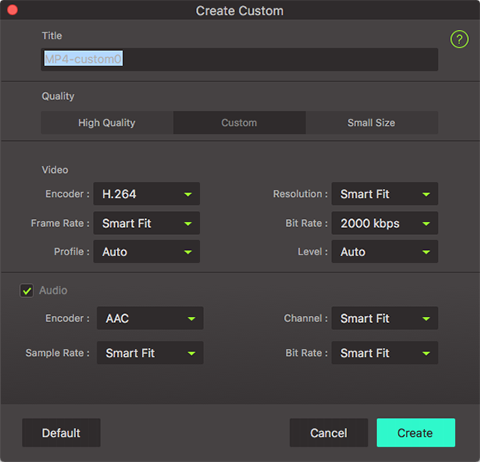 You can even create your own presets by customizing the resolution or more technique parameters such as frame rate, bitrate, encoder, profile manually. To do so, just select a format and you'll see a Gear button that appears on the right corner of the each format. Click it to open the settings dialog and customize the output settings as you want. You can change the output folder by clicking Menu > Preferences > Location. Otherwise, the default folder will be used. After the settings are completed, simply click the "Convert All" button and the program will complete the tasks soon. You'll see the status changed right on the item bar. For single video conversion one by one, hit "Convert" button on the right of your desired video to complete the conversion process.